We have nothing but appreciation for your busy lifestyle. But just give us as little as 30 minutes of your time to provide you with important information that can make a big difference in your already amazing life. Most people don’t associate hearing well with being healthy. But honestly, the two are closer connected than you think. In those 30 short minutes, we can show you some of the latest hearing technology! Like the new Moxi™ Kiss from Unitron. You’ll truly be amazed at its high-tech features, discreet look and comfortable feel. TAKE YOUR NEXT SELF-IMPROVEMENT STEP TODAY! As an independently owned Audiology practice, we can turn to leading manufacturers to find the top quality products to work for you, at a reasonable price. Hearing is fundamental to every day communication. Improved hearing could improve your relationships, mental health and independence. The sooner you seek treatment, the sooner your daily life can improve! Each hearing loss concern is different. 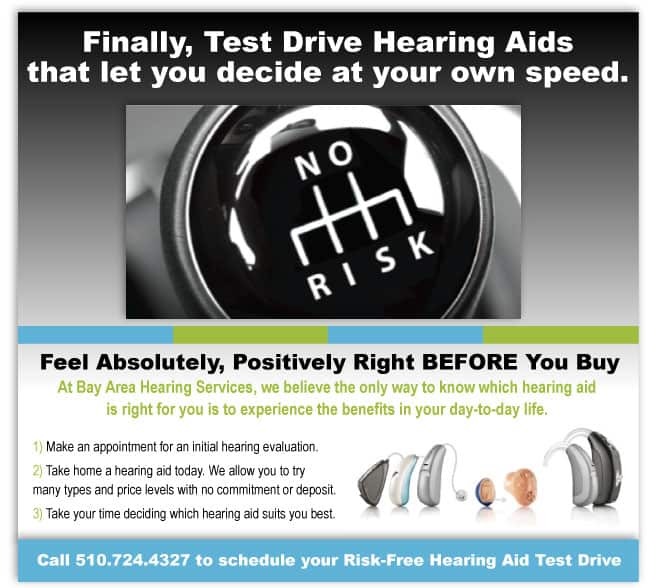 Our Pinole and San Pablo Audiology and hearing aid services offer solutions personalized to your needs.